Jane has experience in strategy development, organisational design and business improvement, human resource management, technology, project management, culture turnarounds and change management as well as corporate governance. She has knowledge and experience across a broad range of industry sectors including superannuation, professional services and management consulting, State and Federal Government, mining and resource sector, health and building industries and international aid delivery. 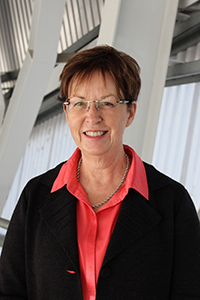 She has worked in the education sector and consulted widely across the Victorian TAFE sector for over a dozen years. Jane is a member of the Audit Finance and Risk Committee and the Education Quality Committee of the Board and has held diverse board and committee governance roles in both commercial and not for profit organisations.